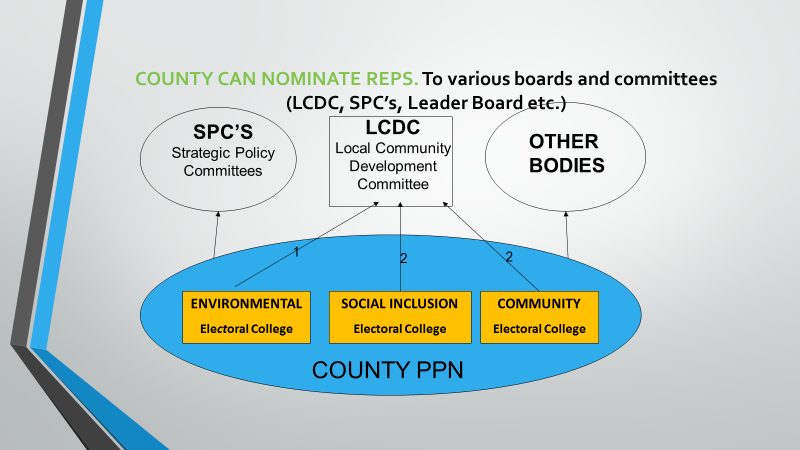 The purpose of the PPN is to bring together community, voluntary and environmental groups so that they can participate in local decision making. Its purpose is …. All eligible groups who register with the PPN will have a vote. Why should you join the PPN? Access to relevant information on funding & grants coming through the Local Authority. The opportunity to advertise your activities via the PPN Newsletter, website, emails etc. Access to capacity building and training events which will support you in your work. 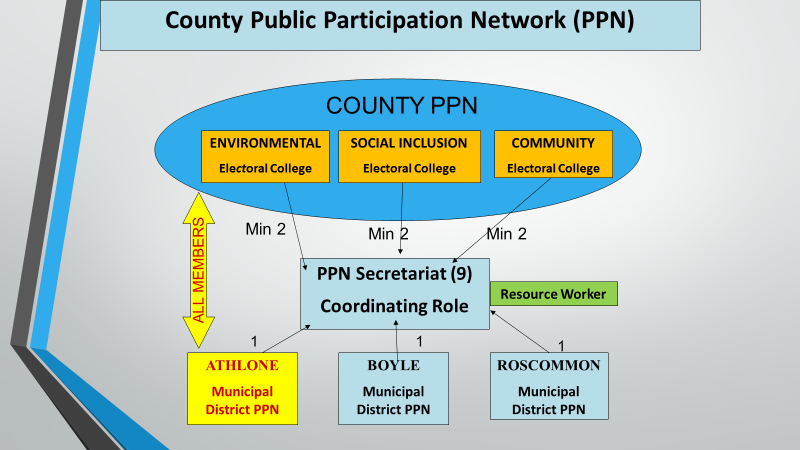 Access to information on decisions and proposals being made in Roscommon, ability to comment on and input to them, along with other PPN originations. An opportunity to network with and learn from other organisations in Roscommon who may be involved in similar type projects. The opportunity to nominate members to sit on a Board or Committee on behalf of the PPN.